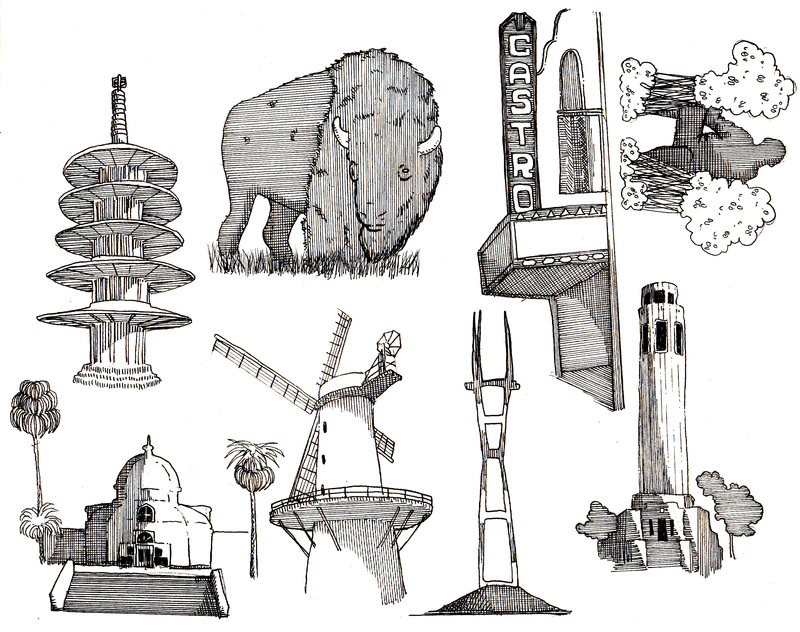 This series of little drawings represents some famous and some lesser known San Francisco landmarks. 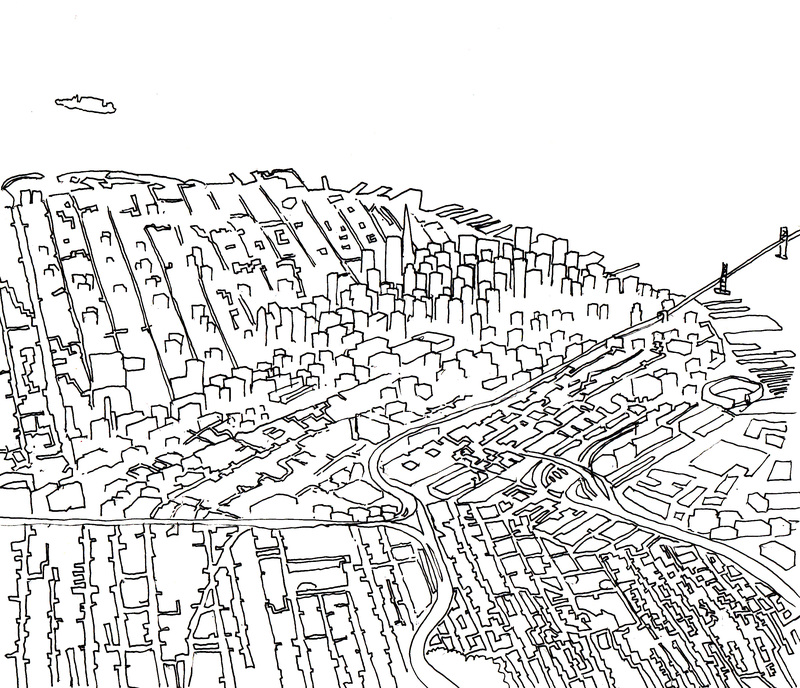 I have put these images on a silk-screen and I am in the process of making posters. 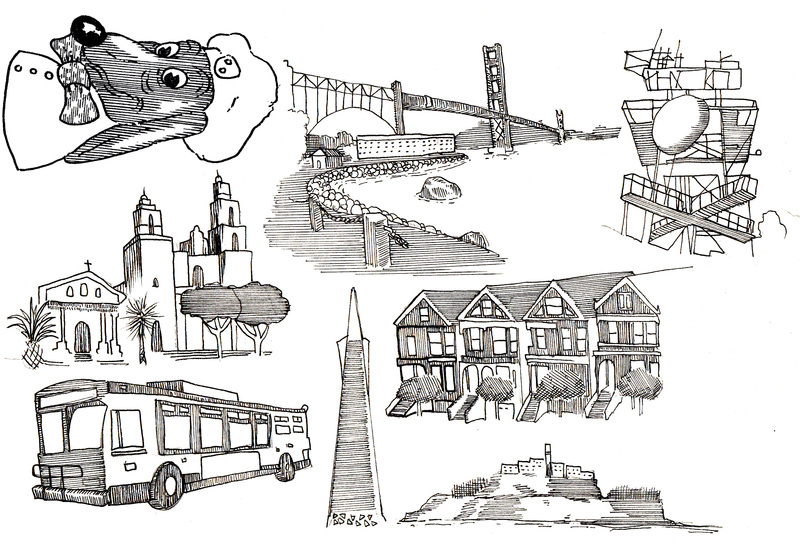 This entry was posted in 2014, art, illustration, silk screen, Uncategorized and tagged alcatraz, art, bernal heights, bernal hill, bernal tower, buffalo, bus, bushman, castro theater, coit tower, conservatory of flowers, design, doggie diner, drawing, fort point, full house, golden gate bridge, golden gate park, illustration, japan town, japan town pagoda, mission dolores, muni, pagoda, painted laidies, peter glanting, queen wilhelmina, san francisco, sutro tower, transamerica, transamerica pyramid building, victorian houses, windmill by pgglanting. Bookmark the permalink.